← Project 10:10:10 Pill or Perception? Although the critical mass among the surface population was not reached, the activation was a significant success. Besides our strong, dedicated core group many tens of thousands Lightworkers and Lightwarrios across the globe were participating. During this activation, something significant has happened that has never occurred in the last 25,000 years. A critical mass of 144,000 people from the Resistance Movement and the Agartha Network have emerged from their underground realms briefly and did this activation on the surface exactly in the same way as we have been instructed. This has created a certain special resonance field which has channeled the energy pulse from the Shapley Attractor and stabilized the planetary etheric Light grid to the point that it will be able to handle and absorb the energetic shockwave at the time of the Event. Spiritwater Gardens: Click on I believe in Nature Spirits on the menu at the top. At the activation, conversion protocols of the Resistance Movement and the Agartha Network have been synchronized. The extent of the primary anomaly has been greatly decreased. The Breakthrough phase has been initialized. From there, the main tunnel leads to Giza and from there the eastern branch goes to Tibet and the western branch to Peru via North America. 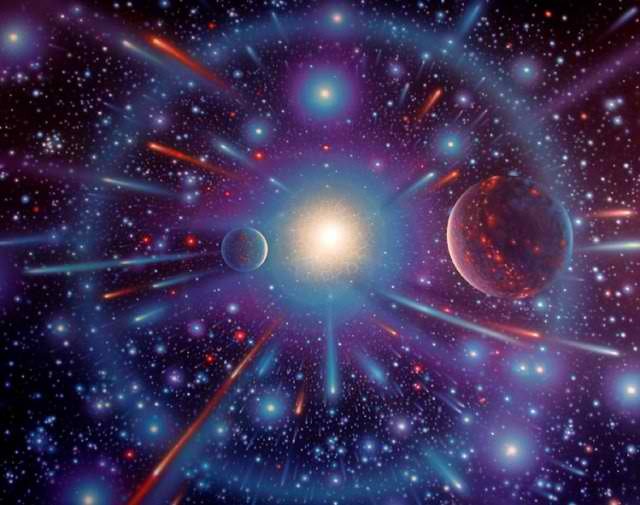 The critical mass of 144,000 Light forces from underground networks was enough to stabilize the energy grid but not enough to achieve a transformation of human consciousness as for that the critical mass of 144,000 needs to come from within humanity to have a desired resonance effect. Few days before the activation, the Light forces have managed to remove vast proportions of the Chimera scalar plasma grid. This is a very significant achievement, since this is the very first time since the 1996 Archon invasion that any kind of victory over plasma scalar technologies on the surface of this planet has been achieved. The scalar energy attacks on us are now expected to slowly wane out. This means that we are now entering the Breakthrough phase. We are no longer resisting the status quo, we are making push for the final victory. The Light forces have communicated that it is very important for everyone to start visualizing our lives after the Event as our visualization and intent speeds its manifestation. They have also communicated that it is time to start practicing unconditional forgiveness towards ourselves and others. There is no more time to dwell on the past, it is time to create the future and live in the Now. Dragon sources have communicated that as a result of the activation, breakthroughs are happening behind the scenes geopolitically and will soon become more visible in the mass media. The Rothschilds and the Jesuits are planning to allow that to happen, present themselves to the masses as the good guys, manipulate the Eastern Alliance networks and their financial institutions from behind the scenes, hijack the financial reset and to remain the globalist controllers of humanity. Their plan will not be successful as the Light forces are aware of it and will never allow its fruition, as they have their own plans to counteract that, with mass arrests of the Rothschilds and the Jesuits at the Event.